Lacquer Lockdown: New Hot Off The Stamping Press: Alice In Wonderland Collection Expansion! New Hot Off The Stamping Press: Alice In Wonderland Collection Expansion! Hello fellow lovers' of Alice! I'm just going with the fact you love Alice because I love her. Because so much of my formative years was spent thinking about how I have often made mistakes much like the Disney inspired Alice, giving myself good advice but very rarely taking it. Lol! So wtf am I waxing poetic about this darling girl? 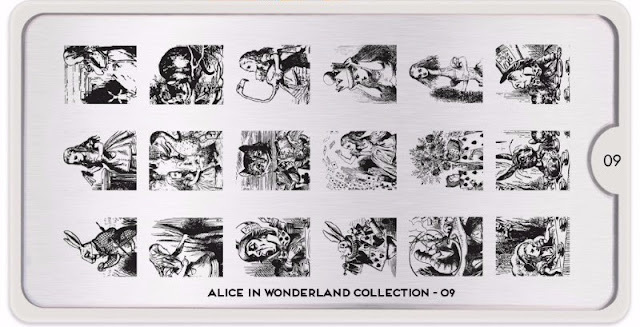 Well MoYou London seriously gave me a full on stamping plategasm with the expansion of their collection - Alice In Wonderland. Its only 2 plates but I seriously died and so will you if you haven't seen them yet! 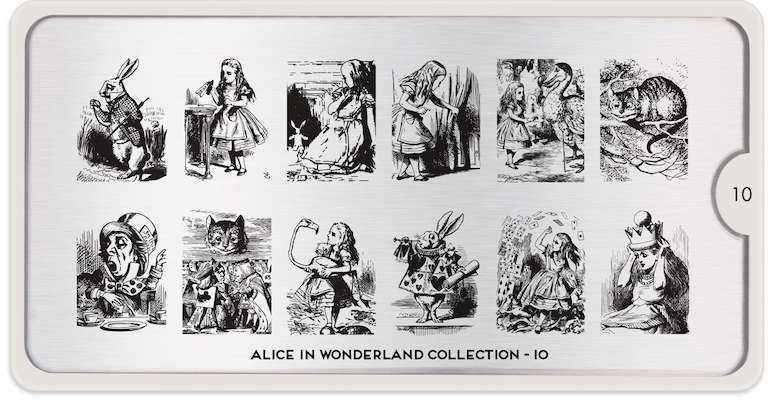 These are the original illustrations from Lewis Caroll's novel. Gorgeous and beautiful as they are eclectic and unique! So let's be honest these are insanely stupendous. This is what I envisioned the original Literature Collection would be like, though in the end I was disappointed in those plates. Also I sort of hated the initial release of this collection. It was super cartoonish and made me super sad. This release made me happy I'm a stamper and that MYL was able to do this. Good god look at the catepillar! What do you guys think? I hope every single image gets enlarged! I died died died when I saw these and my heart kind of exploded out of its chest. Ok none of that happened except I clicked add to cart so fast you would think I had a direct line to MYL. I needed these both so badly! Here's to hoping they expand this style in the future. I love every single image. If you haven't scooped these I have no idea what you are waiting for! You can find both of these plates on the MoYou London website. Plates retail for 5.99 GBP. Happy hunting and I'll see you next post!